God of War was undeniably one of the stand-out games of 2018, scooping up an abundance of awards as well as praise from fans and critic alike. However, unlike many AAA titles which release nowadays, the action-adventure didn't feature any DLC – and now we know why. While appearing as a guest on Kinda Funny’s GameOverGreggy Show, God of War director Cory Barlog revealed that he did have ideas for DLC but they were "too ambitious". “I had a really fun idea for a DLC that I only regret because I would love to have done that, but it was too ambitious,” Barlog explained. 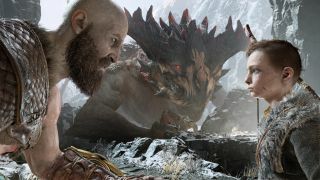 During an interview with IGN, Barlog went on to explain that the DLC ideas he had planned for God of War were so big that they would have ended up their own standalone title. "There was a time when I wrote a couple of DLCs that we were talking about. Ok, what if we did release some other stuff after?" Barlog told IGN. "You know, there are interesting ideas but I think the amount of time we’d have to put into it, it would start to end up kinda like a Left Behind or a First Light kinda thing where it’s just so big... like Lost Legacy of something like that."